Plate Carriers have become the standard for ballistic protection and are used worldwide by military contractors, soldiers, and law enforcement. They come in a range of different shapes and sizes with varying degrees of ballistic protection. However, the constant for all plate carriers is the ability to hold ballistic armor plates. 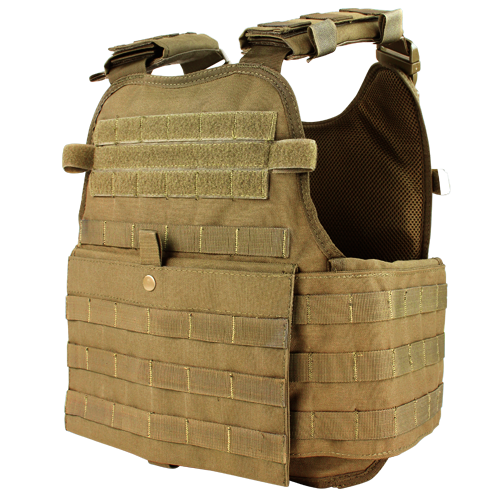 The plate carriers of similar design to the Condor Outdoor Plate Carrier have become a favorite among special forces and military contractors for the ability to provide adequate protection and carry plenty of equipment without compromising maneuverability. 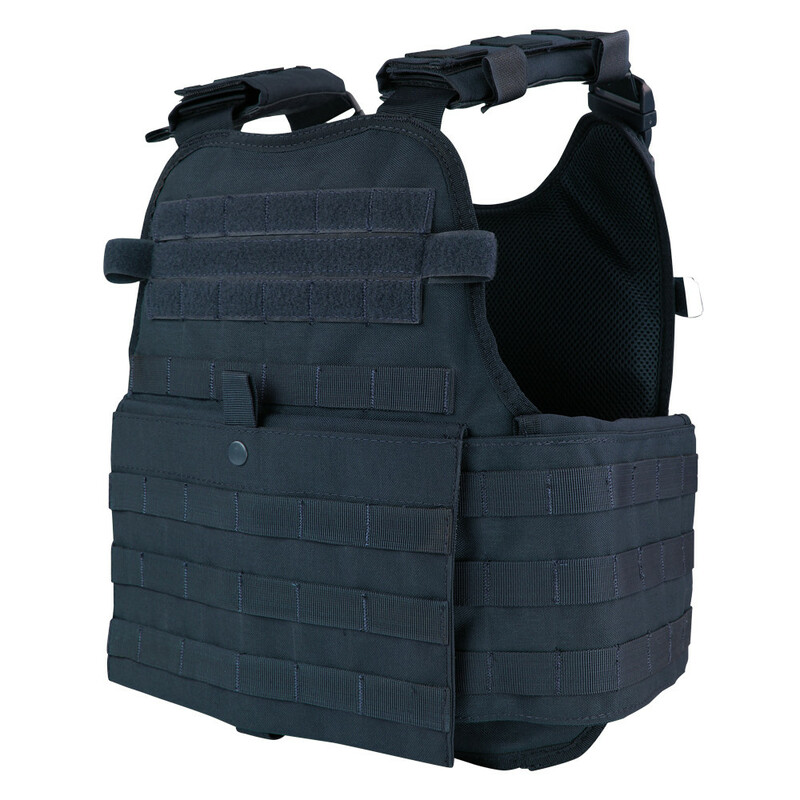 The Condor Outdoor Plate Carrier with Cummerbund has many beneficial features for use in combat and airsoft scenarios. It accepts standardized 10x13 ballistic plates in the front and rear panels that are secured by pull down flaps with heavy duty hook & loop closure. The panels have padded mesh on the inside for comfort and airflow. The shoulder and internal waist straps are adjustable for most sizes (M-XL) and have quick release buckles. In combat quick release buckles give medics quick access to wounds but for airsoft it allows you to just drop your equipment after the game for a deserved break. The cummerbund is adjustable and can carry additional equipment. For added protection the cummerbund has pockets for side armor. Also, for convenience it has a front map pocket, hook & loop panel for ID placard/patches, and a emergency drag strap. Along the cummerbund, the front, and rear panels the Condor Outdoor Plate Carrier is covered in MOLLE webbing. 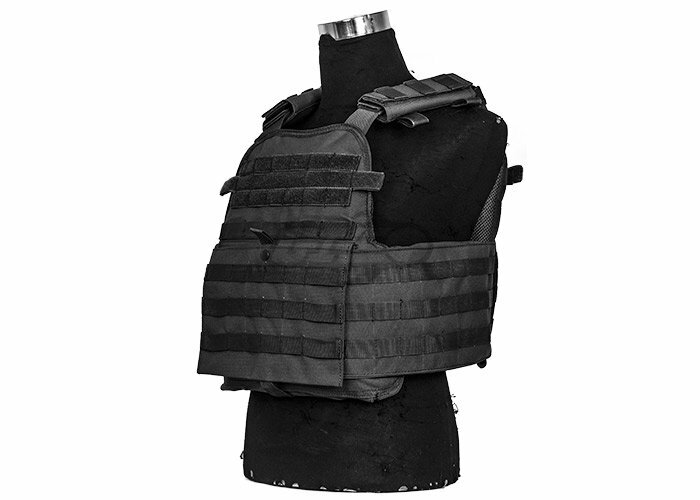 This vest does not include ballistic plates and offers no ballistic protection without plates. 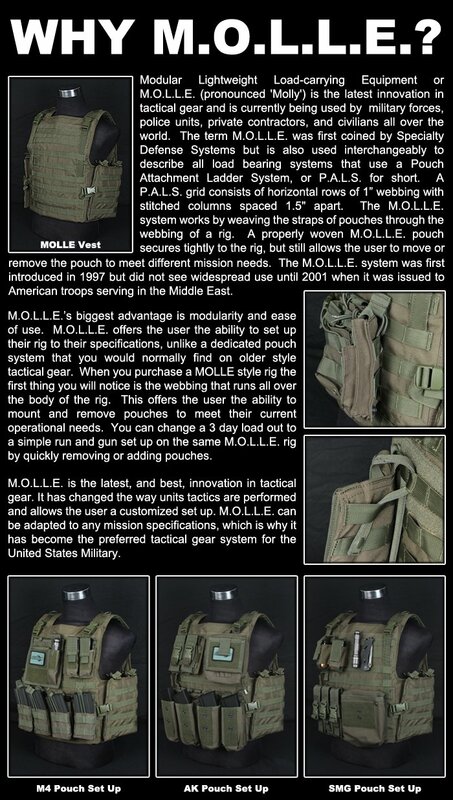 The MOPC (Condor Outdoor Modular Operator Plate Carrier) is a great plate carrier that fills all your MOLLE needs. is has great shoulder pads a integrated map pouch and velcro on the front and back. The only problem I've had is that the stitching is not the best. The front map pouch ripped a little bit, but it is still fine to play for me. Also it takes plates very well. The stitching is pretty bad (In the front). Velcro Molle spaces on the front and back. Can carry side plates or more equipment on the inner pouches. The Adjustable straps on the side DO NOT stay tight. (I will probably sew them to stay tight, unfortunately). What is the name or link to the pouch that fits into the "map pouch" on this vest? Most people would use a condor triple open top mag pouch or something similar.